Tennis: The 138-Rule and the exceptionally talented versus the exceptional retrievers and grinders. The comparisons between Alexander Zverev and the Big Four are flooding the cyberspace. As 21.5 years old, Roger Federer had fewer titles than Sascha Zverev. 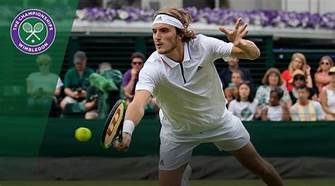 With Sascha Zverev scoring his first back-to-back win over Roger and Novak at the year-end ATP event, every tennis blog, writer, and expert has jumped onto the bandwagon comparing Zverev with the thirty-plus, multi-slam-winning Big three and Murray. By all accounts, Sascha leads Roger Federer and Andy Murray but lags behind Novak Djokovic and Rafael Nadal, in titles and slams count, as 21.5 years old. Only the tennis-talent is god given. The maturation and evolution of a player into a champion is conditioned by, and subject to, various factors including the tennis-talent, or racket wizardry sans athleticism and mental strength, playing styles, and physical, mental, and technical aspects of the game, and even external factors such as the speed and bounce of the court, and rate of progress of sport-related technology. It is our firm belief that of all those, only tennis-talent is entirely God-given. Athletic abilities and mental strength are difficult to master, but not impossible to develop or acquire. Tennis-talent shapes the playing style which in turn establishes how soon the player will mature into a champion. 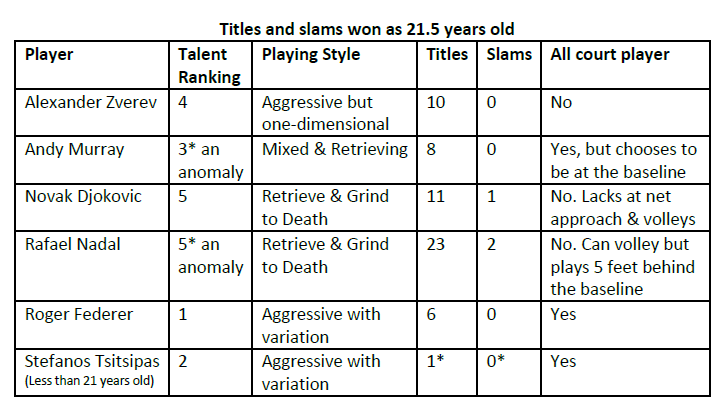 The 138-Rule, applicable mostly at the highest, or top-five rankings, level of the sport, explains the general correlation between talent, playing styles, and the time required to mature into a champion/winner (or the “Time to Maturity”). The 138-Rule is applicable only at the highest, or top-five rankings, level of the sport, and for those soon-to-make the top-five rankings. The 138-Rule dictates the following. The more of a retriever and grinder the player, the less will be the time required to evolve into a champion and win titles, and slams. The 138 Rule stands vindicated. Roger Federer, apparently, won 6 titles and no slam at 21 years and 7 months as compared to 8 titles and no slam for Andy Murray, 10 titles and no slam for Alexander Zverev, 11 titles and a slam for Novak Djokovic, and, a mind-boggling, 23 titles and 2 slams for Rafael Nadal at the same age. Based on the titles and slams won by Federer, Nadal, Djokovic, Murray, and Zverev as 21.5 years old, the 138-Rule stands vindicated. 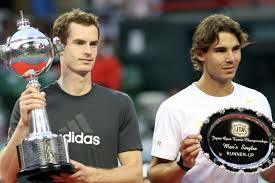 Nadal and Murray are anomalies. It would be unwise to refer to Rafael Nadal as anything but insanely-talented. He, however, chose the playing style of the not so talented. Why? We believe, Nadal is as, if not more, talented than the Maestro himself. Is it because Nadal was coached to play with his left while being a natural right-hander? Becoming a left-hander helped Nadal win many titles and dominate the GOAT, but he also had to suppress his natural tennis-talent because of it. That Nadal was able to adopt the grinding style and become a champion with it, is a testament to the Spaniard’s colossal-talent. Because of his playing style, however, he has suppressed, while exploiting, his natural tennis-talent to develop his forehand into a WMD suited for the retriever and grinder. We can never be certain of Nadal’s tennis-talent based on his “retrieve-and-grind-to-death” playing style. Our ranking of Nadal’s tennis-talent, therefore, is based entirely on how he plays and not on how, we think, he can play. Andy Murray is a study in what could have been. There’s little the Scot cannot do with a tennis racket. He even moves with a cheetah-like speed on the court. Yet he, quite inexplicably, chooses to play cat-and-mouse tennis, parked five feet behind the baseline. We had covered the Murray-disease in the post “Decoding the BIG three & Murray” and will explore it further in the next few posts. Why does excessive talent delay the player’s evolution into a Champion? The simple reason is that the excessively talented shun the retrieving and grinding style in favor of an all-court, and aggressive style of play. The complexities surrounding that simple reason, however, would take a 1000 pages to be adequately explored. The all-court style, therefore, requires them to master not just the baseline, mid-court, and net play but also the transition game coupled with the art of converting defense into offense. All that, and some more, is too much to master at 21. The aggressive style, moreover, is inherently riskier and, therefore, lower margin than the retrieving, grinding, and defensive one. The Retrievers and grinders play with margins on their side. It takes longer to hone the play-patterns of the aggressive playing-style and build consistency in them. Excessive talent nags the player to master all aspects of the game. The excessively talented players are bitten by the bug to master all aspects of the game, and they know it is within their reach to do so. While the retrievers and grinders, understanding the limitation of their talent, focus on strengthening their strengths and honing the innate ability to put one more ball back into play. The exceptionally talented try to excel at too many things. The Retrievers and grinders, however, understand that to win, they need only to put that last ball back into play, and the mastery of one or, perhaps, two shots, coupled with their grinding abilities, would help them round up their game, create more opportunities, and also capitalize on the closing opportunities created during the grind. A good single-handed backhand exposes the inseparability of efficacy and beauty of the game. The exceptionally talented know that the beauty and effectiveness of their game are inseparable and cannot exist without each other. The Retrievers and grinders, on the other hand, believe only on the functional efficacy of their game and care little about its beauty and gracefulness. There is a reason why the exceptional grinders rarely wield the single-handed backhand. The single-handed backhand depends a hundred percent on impeccable timing and is, therefore, low-margin as compared to a double-handed one. It, moreover, takes forever to master and hone into a WMD. Wawrinka’s backhand was always good, but it turned into a WMD well after his 25th birthday, and Roger’s backhand, until 2017, was shredded apart by Nadal on all surfaces except the very-low bouncing ones. Roger’s backhand assumed the WMD proportions only after seventeen slams and his 35th birthday. Who has the talent or the time to last that long? One or two dependable ground-shots or a single WMD can help, the retrievers and grinders, dominate the sport. 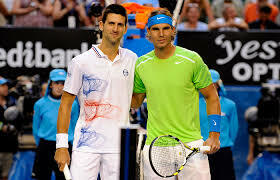 The Retrievers and grinders understand that by developing one, or two, dependable ground-shots – like Djokovic’s return and backhand – or one WMD – like Nadal’s forehand – they can neutralize the opponents’ weapons, convert defense into offense, at the right and opportune moments, and dominate the sport. The high-margin playing style of the retrievers and grinders is adept at optimizing strengths and weapons and maximizing the damage which can be inflicted by those weapons. Why many, if not most, excessively talented players don’t make it beyond the first couple of years as a pro or even make it to the pro-levels? Why Rafa, a quintessential grinder, is an anomaly? He not only is good at the net and with volleying but also has a WMD? Is Rafa excessively and exceptionally talented? Would Rafa fare better as an aggressive all-court player? Did Tony Nadal harm Rafa’s long-term prospects by turning Rafa into a left-hander? Did Tony change the course of Rafa’s natural evolution as a highly talented right-hander? Why does Andy Murray play the retrieving tennis when he can play aggressive quite comfortably? He has better hands, at the net than Roger? Is Andy Murray paying the price, for not following the natural path of the excessively talented, with debilitating injuries? Would Andy be better off employing his gazelle-like speed and ability to take the balls super-early to finish rather than extend points? Why is it much easier to be defensive than aggressive? Why is it much harder to hit winners than retrieve and grind? And what in aggressive player’s DNA compels them to be so foolish. What happens when an excellent grinder, such as Djokovic, must bring down another excellent and established grinder – such as Nadal? Why is Stefanos Tsitsipas included in the discussion? ← Coric and Cilic give Croatia a 2-0 advantage over France, in the Davis Cup Finals. 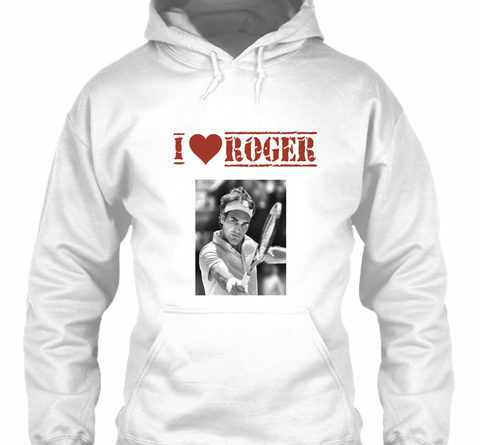 Roger is good but not that great. Djokovic is talented and off-course Nadal is way more talented than Djoko.